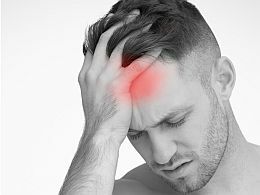 Is there any connection between headaches, pain in joints, and windy weather? Yes! According to Chinese Medicine, wind does affect our bodies and can cause pain if we are not careful. How does wind affect our bodies, according to TCM? In Chinese Medicine, wind can negatively affect our bodies in two ways. It can either invade our bodies form the outside (external wind), or it can be internally generated due to a weakened immune system (internal wind). The lungs is the organ that is most attacked by the external wind, and the liver is the organ that is most related to an imbalance in the liver. A wind-imbalance inside our bodies is referred to as pathogenic wind in Chinese Medicine. What are the symptoms of TCM wind? In TCM, wind has and ”upward movement” which can cause problems in head & face, and even lead to weakness and paralysis in face muscles. Since wind causes movement, symptoms of shaking, twitching, and spasm are usually involved. There is also a connection between wind and headaches / migraines. According to TCM, headaches and migraines are triggered by invasion of wind and heat. This causes meridian obstructions, and disturbs the blood and qi flow in the head, which in turn can lead to headaches or migraines. 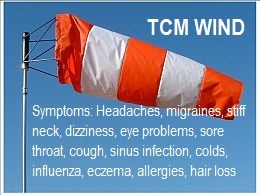 According to TCM, wind directions play an important role when it comes to pathogenic wind symptoms. Depending on the wind direction, some organs / meridians are more affected than others. This can be very useful information. For example, if you often get headaches or migraines when it’s windy outside, it can be of value to learn about the wind direction to see which organ / meridian that is affected and causing the pain. According to TCM, migraines are triggered by wind invasion together with an unbalanced liver meridian. Winds from the east affect the liver, and this is why migraines can get worse by eastern winds. Also, dysfunctions of the kidney-, gallbladder-, and stomach-meridian can also develop headaches. 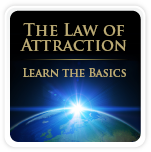 As you get to know the root problem of your symptoms, the treatments have a greater chance to be successful. Acupuncture, herbs and cupping are often used in TCM to dispel pathogenic wind, see text further down. The table below is showing wind directions, and how the body is affected. How is TCM wind treated? In TCM, wind invasion is often treated with acupuncture, herbs, and/or cupping. Acupuncture – TCM wind symptoms like fever, chills, nasal congestion, upper back pain, and stiff muscles, can be treated with acupuncture. It has been reported to be very effective, especially in the beginning stages of TCM wind symptoms. What it does is that the acupuncture needles settles and extinguishes the pathogenic wind from the body and restores the energy flow. Herbs – Chinese Medicine also includes herbs to dispel TCM wind. Effective herbs for TCM wind are focused on the superficial layer of the lung and body. Cupping – Cupping can be very effective for treating pathogenic TCM wind symptoms, and is often used to treat respiratory problems and muscles aches in the upper body. Cupping draws the wind to the surface of the body and is then expelled through the pores. Below is a list on simple things that you can do to prevent pathogenic wind invasion. 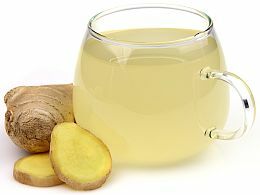 Don’t drink alcohol when you have a cold – Drink ginger tea instead! When wind comes with other pathogens such as heat, cold, or dampness, it gives rise to syndromes known as wind-heat, wind-cold, and wind-dampness. This awareness helps the TCM doctor to understand the patient’s root problem even further, and allows for a precise and effective treatment. Many headaches and migraines are due to wind-heat invasion. However, tension headaches, headaches of cervical origin, and heavy sensations in head, are caused by wind-dampness obstruction. Joint-pain and arthritis are also caused by wind-dampness. Below you will find symptoms and treatments of different TCM wind syndromes. Treatments: Wind-heat syndrome is treated with herbs that repel and clear heat. Treatments: warm and sweat-inducing (diaphoretic) herbs that repel the wind and disperse the cold. Moxibustion therapy is also effective to dispel cold from the body. Treatments: Wind-damp is treated with herbs that drain dampness and improve circulation of blood and qi through the areas of the body that are affected. Moxibustion therapy is also often used to dispel damp from the body. 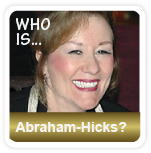 Symptoms: edema, swelling due to fluid retention that is caused by allergies, poisoning, or inflammation of the kidney. Treatments: this long-term internal imbalance of liver yin or blood deficiency can be helped with acupuncture and TCM herbal medicine.